How do I watermark photos? Digital theft in the age of the internet is rampant and there is little that can be done to stop it. While the media format of digital music is very difficult to protect, digital graphics can contain a watermark, and with the right software to add the watermark to the photo, photos can safely be distributed in the proofing stages of the graphics process. Adding a watermark to a photo is the best way to ensure that the photo is not used without permission, but watermarking photos can be a complicated process. The reliable method of watermarking your photos is using software that has been specifically designed to do the job quickly and easily. The Batch Picture Protector has been designed from the ground up, to make it very simple to load a photo and then add a watermark to that photo. 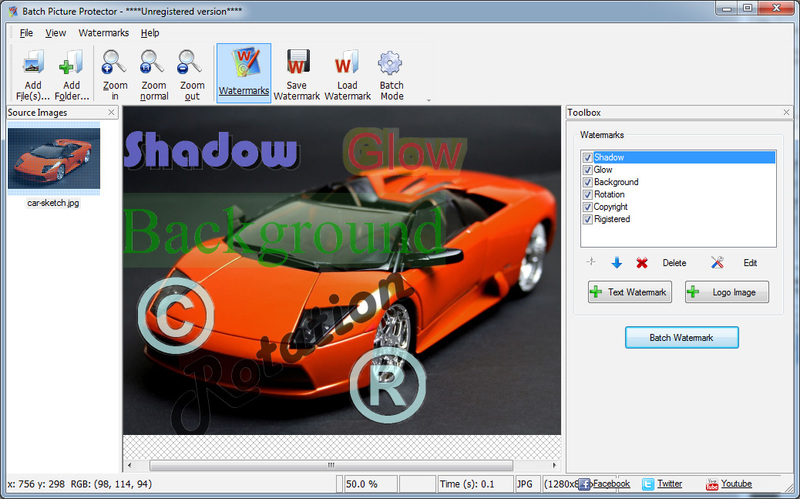 The software also allows the watermarked photo to be saved in any major image file format. Simply load your photo into the program and then type the text to be used as a watermark or just add a logo as the watermark. 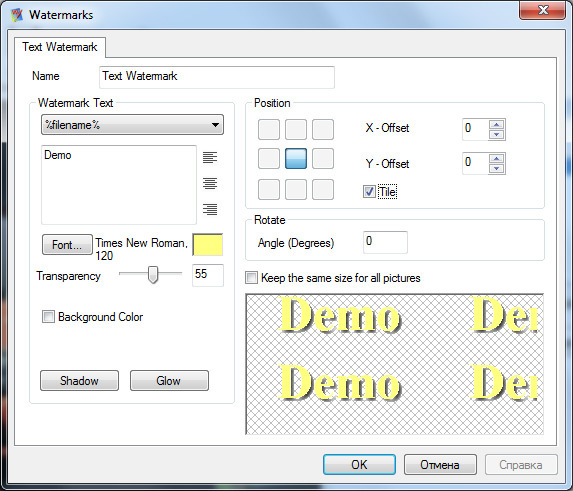 The software will allow you to adjust the transparency, rotation and position of the watermark in just a few clicks. You can usefully save your created watermarks and load them again for another project. It is just as easy to watermark multiple photos at once because you can load all of the photos you want to watermark and process them as one batch. Batch processing is a real time saver when adding a watermark to tens, hundreds or even more photos at once. It might be important to protect your digital copyright and luckily this could be done efficiently with purpose built software. The Batch Picture Protector can guard your photos from unauthorized use with its advanced aesthetic watermarking capabilities and simplicity of use. That will give you the assurance to distribute photos with the peace of mind that the copyright of your work has been subtly protected.